Click here for the recap from Reality Ravings. 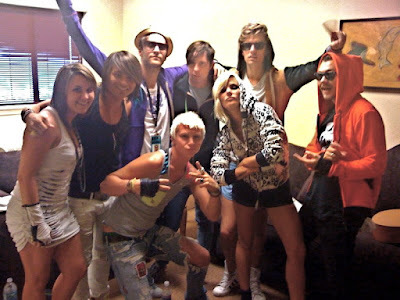 Project Runway Season Five designer Blayne Walsh designed the hoodies worn by the Swedish Band, "The Sounds" worn on the "No Doubt" tour. Project Runway Season Five Winner Leanne Marshall is being honored by her alma mater, FIDM. Click here to read about the her exhibition as part of "The Outstanding Art of Television Costume Design." 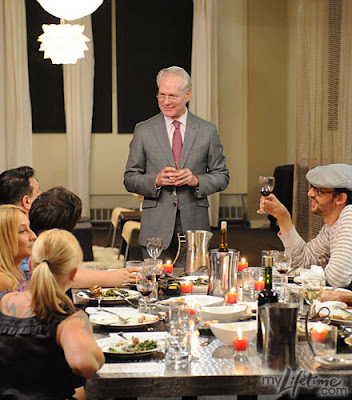 Click here to read Beth Terry's post about Lunch and a "Style Consultation" with Tim Gunn. Click here to read about Nick Verreos and Kit Pistol at the "Style LA Swim and Resort Show." Have any of you gotten into a fight with Isaac Mizrahi? Gunn: No. I'm not a fistfighter. I'm a biter and a hair puller. Heidi doesn't provide us with too much information about Project Runway, but she sure is adorable! She did mention that the All-Star competition is just one single challenge. MyLifetime.com has posted some photos from the Project Runway All-Star Challenge. Click here for more! 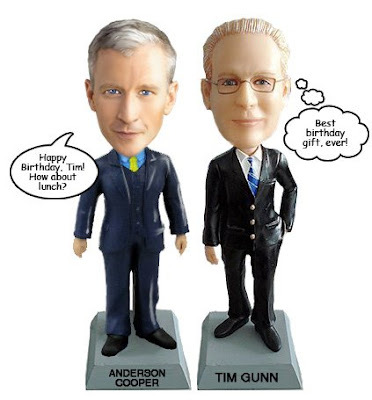 Happy Birthday to Tim Gunn with love from everyone at BPR. "Which Project Runway All-Star do you HOPE will win?" poll. Right now Uli Herzner is in the lead, followed closely by Daniel Vosovic. Heidi Klum will be Conan's guest on The Tonight Show tonight at 11:35 on NBC. 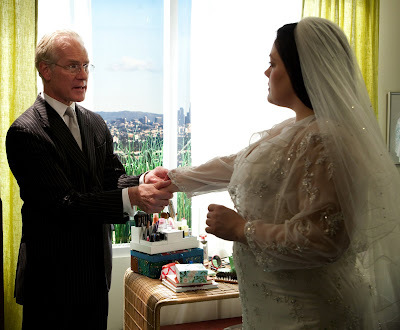 There are lots of posts today about meeting Tim Gunn at BlogHer. Click here for a great interview. Project Runway Season Five designer, Joe Faris will be showcasing Motor-City Fashion October 1 - 2. Click here for more information. Click here for the website. Jack Mackenroth is competing in the 2009 Outgames in Copenhagen. So far, he has one bronze and two silver medals in swimming events. Congratulations, Jack. Click here for Jack's facebook photo album. International readers, can you watch this? Kenley Collins is featured in this Threadbanger video. Click here to read an article about Project Runway Israel. Click here to read about Austin Fashion Week. Don't miss the video which includes an interview with Project Runway Season Three designer Kayne Gillaspie. Click here for a post about Nick Verreos's trip to Paris. Click here for an interview with Mitchell Hall. Click here for a story about Qristyl Frasier. It seems that the New York-based fans are not too happy about the move to Los Angeles. I don't care where it was filmed, I'm just glad that things are settled and the premiere is less than a month away! Which Project Runway All-Star do you Hope will Win? Thank you to RealityTVFan.org for the uploads. That's all I have right now - please stay tuned! Update: Here is an image from myLifetime.com. It's great to see everyone together with Tim and Heidi! Click here for a photo gallery and updates from just about all of the Project Runway designers from the first five seasons on myLifetime.com. Also, you chose Althea, Ari and Irina, in our completely unscientific pre-season poll to predict the Season Six Finalists. Thanks for voting! 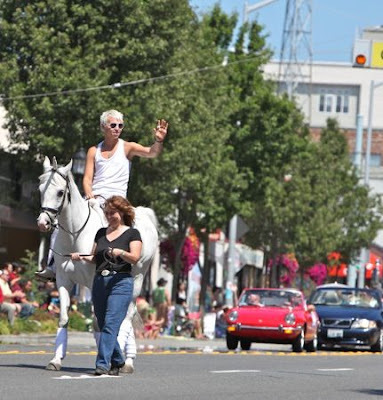 Project Runway season five designer Blayne Walsh was the Grand Marshal of the West Seattle Grand parade on July 18th. Click here for more. Click here for a new interview with Chloe Dao. Also, apparently, Christian is collaborating with Starbucks. Click here to join the speculation. Finally, here is a spoilerish screencap from the recent Season Six promo. Purists - don't click. 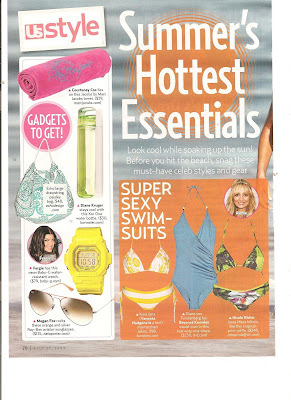 Kara Janx designs are featured in the July 20th issue of Life & Style AND the July 27th issue of Us Weekly - Congratulations Kara! Lifetime continues to bring the fun for Season 6 of Project Runway. They are offering up free downloads, including animated 'buddy icons' and wallpapers, so that you can immerse yourself in all things Runway. Click here for the downloads and follow the instructions. And don't forget to 'mouseover' the "Designers and Judges Downloads" for even more choices devoted to each of the sixteen designers(!) 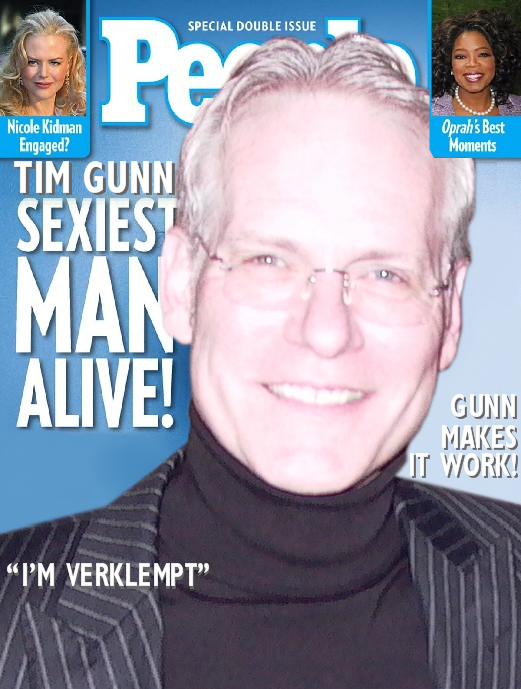 as well as Tim Gunn and Heidi Klum. Your desktop environment never looked so fashionable. Now, who is doing to try using these buddy icons for their Gravatar? Thank you to RealityTVFan.org for the video..
Click here for Emma's recap. Kevin Christiana's Mynt 1792 Motorcycle jacket is featured in the brand new issue (August 2009) of People Style Watch. 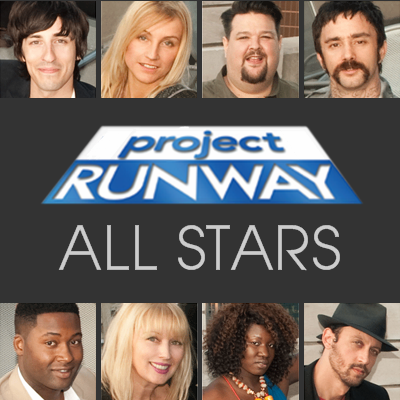 Stay tuned to BPR for the "Official" announcement about the Project Runway All-Stars competition next week. Thanks for your patience. "I'm a Designer" Videos - All Together! Here are all sixteen Project Runway Season Six designer intro videos uploaded to YouTube in a re-sizable format easily embedded on your blogs and websites. Spread the love. Thank you to "Pink is the New Blog!" Project Runway - Emmy Nominated Again! Project Runway continues its Emmy nomination streak. It was announced today that Project Runway would compete in four areas including 'Outstanding Reality - Competition Program' where it will be up against The Amazing Race, American Idol, Dancing With The Stars and Top Chef. Heidi Klum will compete in the 'Outstanding Host for a Reality or Reality-Competition Program' category against Phil Keoghan from The Amazing Race, Ryan Seacrest of American Idol, Tom Bergeron of Dancing With the Stars, Jeff Probst of Survivor and Padma Lakshmi and Tom Colicchio of Top Chef. 'Finale Part 1' will compete in the 'Outstanding Directing for Nonfiction Programming' and 'Outstanding Picture Editing for Reality Programming' categories. You can click here to see all of the nominations. The 61st Primetime Emmy Awards are scheduled for Sunday, September 20th at 8 PM on CBS. I recently received a note from a reader mentioning that Keith Bryce's work was featured on this photographer's site. (Thank you Salvador.) I followed up with a note to Keith asking for confirmation and to discover what he has been doing lately. Thank you for your gracious response, Keith. Now more inspired then ever to leave my mark and become an international success, I've been designing fashion photography, deciding everything from model and hair to wardrobe and concept.. I'm now looking for an agency to help rep me as a conceptual stylist and potentially get me editorial magazine work/recognized. Then I can do that until I can fund my own big fashion show or I meet the right people to get behind me.. Then hopefully Paris next.. I've done so much in the last year I feel like a new person. Sorry everyone but I've kind of quit the gym and I'm working on my fashion 24/7 so hopefully very soon I'll be moving to the city. Just trying to have work lined up so I will be able to get a place big enough for my studio... Most of my great new portfolio work has been done in the last six months so. I've been working hard. I'm ready for some one to notice.. So am I busy? Yeah but because I make it that way. Not because of that many jobs but because job or not I'm always creating my next big project.. Please check out Keithbryce.com if you would like to see more of my current work... [Also more here!] It's good to know I'm not forgotten about yet.. I'll figure out a way to make it to the top.. you wait and see. I'm excited to see what happens next.. talk soon. Click here to visit the "Models of the Runway" site on myLifetime.com. I am really looking forward to this fresh addition to the Project Runway experience. 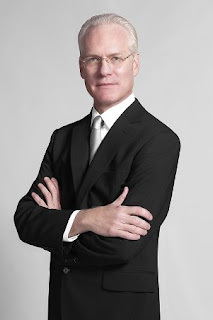 Tim Gunn will be at the BlogHer conference in Chicago on July 25th. Click here for more details. Check out Laura Bennett's "Illegal, Flammable, Fabulous Hair Treatment" here at The Daily Beast. Blayne Walsh has a brand new website. Nick Verreos is inspiring Fashion Journalism students in Florence. Click here to read a blog entry from Kari's European Blog. Click here to read Abby's account. Finally, thanks everyone for sending links to the "Project Runway All-Stars" items. So far, the information presented does not seem entirely factual. We do believe that this show is being filmed right now in NYC, but we will wait for the "official" word on the designers who are participating. Would you like another look at the "I'm a Designer" spots featured on Lifetime? Click here for Althea Harper and Nicolas Putvinski. Click here for Louise Black and Malvin Vien. Click here for Qristyl Frazier and Epperson. Click here for Ari Fish and Mitchell Hall. Click here for Carol Hannah Whitfield and Irina Shabayeva. Click here for Logan Neitzel and Johnny Sakalis. Logan is really cute! Click here for Ra'mon-Lawrence Coleman and Christopher Straub. Click here for Gordana Gehlhausen and Shirin Askari. After reviewing all of the excellent information on myLifetime.com - we are ready for our completely unscientific pre-season poll. This season we have the advantage of seeing the final collections as well. Edited to add: Alan Gratz is back with his predictions for season six. Click here for his very thorough ranking of the contestants. 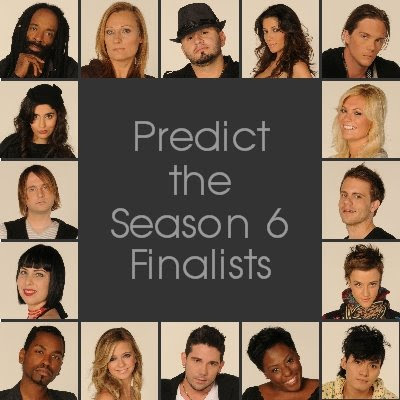 BPRs, who do you think will make it all the way to the Season Six Finale? Please choose three designers. The poll will be open for one week. People.com's introduction to the season six designers includes a quote from Tim Gunn about each contestant. Carol Hannah Whitfield, 24: "She's young, just out of design school," says Gunn of the South Carolina native, who currently resides in Brooklyn, N.Y. But "people will be disarmed by what they see her achieve." Ra'mon-Lawrence Coleman, 31: "He's someone who in my view thinks entirely too much," Gunn says of the Chicago resident, whose favorite designer is Marc Jacobs. "I was constantly surprised in the workroom – suddenly, there's a new design." Johnny Sakalis, 30: A graduate of the Fashion Institute of Design and Merchandising in Los Angeles, Runway's new West Coast home, "Johnny will be polarizing," Gunn says of the L.A. resident. "People will love him, or hate him." Irina Shabayeva, 27: A native of the Republic of Georgia, she counts Cleopatra as a style icon. And Gunn admires the designer's sense of proportion and fit. "Her models look as if they've been in for a dozen fittings," he says, "and they haven't." Malvin Vien, 24: "When you see this guy, you won't believe he's from Colorado," Gunn says of Vein. Talk about an eclectic fashion palette: His style inspirations include rural Chinese farmers, Japanese ghost stories and insect anatomy. Althea Harper, 25: "Everyone [thinks] she's only on the show because she's a tall blond beauty," admits Gunn. "But she's extremely talented. She's going to blow people away." Qristyl Frazier, 42: Hailing from St. Louis, Mo., her style icons include Halle Berry, Whitney Houston and Gwyneth Paltrow. "Qristyl is a hoot," says Gunn. "She likes a lot of color, and print. She's entertaining to watch." Logan Neitzel, 25: "Logan's from Seattle, and you get a crunch-granola feeling in what he does," Gunn says of the self-described "guys' guy" who likes snowboarding and cars as much as he likes John Galliano and Tom Ford. Mitchell Hall, 26: "Mitchell looks like he just stepped out of Gossip Girl and I think that's who he'd like to design for," Gunn says of the Savannah, Ga., resident, who is a creative director for a Vera Wang bridal salon. Ari Fish, 26: "She's deeply conceptual," Gunn says of the self-taught Kansas City, Mo., native, who doesn't sketch or drape her designs, but sews fast. Her influences include geometry, ergonomics, nomadic tribal wear and athletic apparel. Nicolas Putvinski, 27: Born in Moscow, he's had designs commissioned for W and Vogue – and may be a bit of a fashion snob. "If you have such a bad taste in your mouth about American fashion," Gunn has wondered about the F.I.T. grad. "Why are you here?" Shirin Askari, 25: "She's young, she's pretty, she's articulate," Gunn says of the Garland, Texas, resident whose style icon is Katharine Hepburn. "I'm not sure what is distinctive about her, other than the fact that she's good." Christopher Straub, 30: "Christopher is very sensitive, very emotional. He wears his emotions on his sleeve," Gunn says of the Shakopee, Minn., resident, who appreciates volume, eye-catching fabrics and Victoria Beckham. Louise Black, 32: Gunn describes the native Texan as "thoughtful, contemplative, and never a hair out of place." 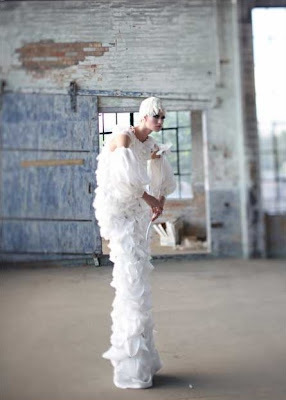 A fan of Christian Lacroix, the first garment the former clinical lab technician ever made was her own wedding dress. Gordana Gehlhausen, 45: The Yugoslavia-born designer now owns a boutique in San Diego. Expect a lot of "textile development," says Gunn. "It wouldn't be a case of going shopping and using the fabric she brought back. She'd do things to it." Epperson, 50: "He is the most senior in terms of design career and reputation," Gunn says of this self-taught designer who grew up in Harlem, N.Y. "He has a distinguished career. He's elder-statesmanlike." Click here to read about Season Six designers Ra'mon-Lawrence Coleman and Christopher Straub in the Minnesota Star-Tribune. Christopher is an underwear designer who tried for Project Runway four times. Katy Gerdes calls Ra'mon-Lawrence "dramatic" and "interesting." Click here for more about Ari Fish from pitch.com. 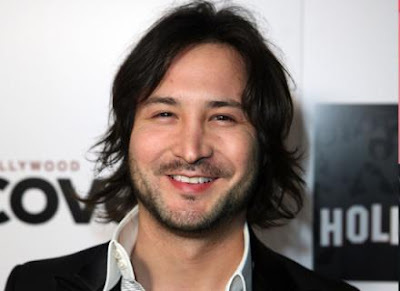 Project Runway season three designer, Kayne Gillaspie will be at Austin Fashion Week. Click here for details. We'd love a field report! Thanks Frank. Our friends at Lifetime want their Project Runway fans to be happy. Get ready to smile because they have unveiled a new portfolio feature that will knock your stilettos off. Click on the image above to go to their site and then select a designer. You'll find images to tempt you to learn more about each contestant - just be sure to click on the "x" when you want to move on. We have always been fan of sketches and this offering certainly delivers along with inspirations and runway looks. Just 6 more weeks and counting ... why not grab the Project Runway countdown widget in our right sidebar for your own site to help you keep track of the days, hours and minutes until we can once again be reunited with Tim Gunn and Heidi Klum in all things Runway. The 16 designers are bringing the talent and Lifetime is adding the fun. Sounds like a recipe for success, no? Oh, and PS - you and your friends should join our Facebook group. And, FYI we will hit 11,000,000 page views some time today! Cheers!! The highly anticipated return of Project Runway, now in its sixth season, premieres Thursday, August 20, at 10pm ET/PT, on Lifetime Television. You have selected the BPR Project Runway Season Five All-Stars. Congratulations to Korto Momolu, Leanne Marshall, Jerell Scott, Kelli Martin and Stella Zotis! A radiant Heidi Klum appeared today on Good Morning America this morning. Click on the image above to watch her - adorable! Edited to add: Click here if you would like to see a spoilerish screencap from the promo. Project Runway Season 5 winner Leanne Marshall has her collection available starting today at Bluefly. You can shop her eco-chic line here. Congratulations, Leanne! Heidi Klum shares her baby pictures. Click here for a scrapbook. While we're waiting for the Project Runway Season 6 cast announcement from Lifetime on July 9th we can have fun with Project Runway Australia Season 2 which premieres on Wednesday, July 8th. (As I write this it is already the 8th down under.) Click here for their promo video. The Aussie cast is Amber Renae (watch Amber's video intro here), Anthony Capon (watch Anthony's video intro here), Claudia Chabo (watch Claudia's intro here), Ivana Stipicic (watch Ivana's intro video here), Jason Chetcuti (watch Jason's intro video here), Kellyanne Russell (watch Kellyanne's intro video here), Mark Neighbour (watch Mark's intro video here), Michael Finch (watch Michael's intro video here), Ryan Whelan (watch Ryan's intro video here), William Lazootin (watch William's intro video here) and Yopie Stafurik (watch Yopie's intro video here). The show premieres on July 8th and we will be looking for the episode on YouTube sometime tomorrow if it becomes available. This is the cast of Project Runway Australia, Season Two which premieres tonight for the fortunate Aussies. Click here to read more about the the casting and the storytelling that make the reality show a success. Click here for an interview with the charming Kristy Hinze. CORRECTION: PR Aussie premieres on Wednesday, July 8th. There is still time to vote in our "BPR Season Five All-Stars" poll. Leanne Marshall's Bluefly Collection will be available on Wednesday, July 8th. Only three more days until we meet the season six designers. 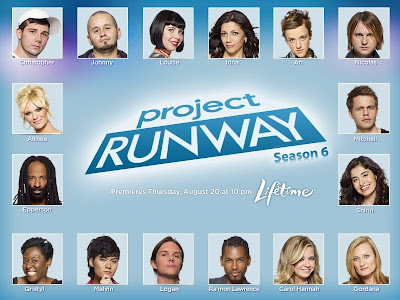 It will be fun to see how the Project Runway page on MyLifetime.com will look with new content about our favorite show. Laura Bennett offers a fresh dose of fashion advice on Style Studio. Click the image above to watch the video. Nick Verreos is headed to Italy. He'll be speaking about fashion to University students. Have fun, Nick. 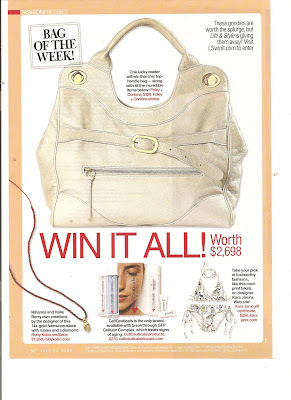 Click here for a new interview with Project Runway Canada Season Two winner, Sunny Fong, in Toronto Life. But that's why you love us, right?